The Alltruck team behind the project to configure and install Jaama (new fleet management software) has been awarded the Employee of the Month award for November. 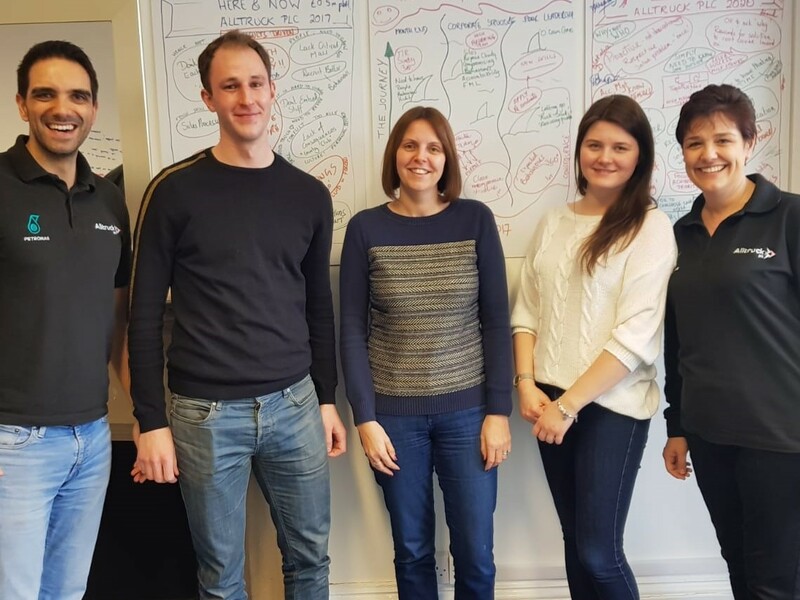 The Odyssey team which comprises Debbie Halliday, Natalie Coates, Natalia Dembinska, André Leal and Oliver English has successfully implemented the new system across the company and it is already leading to efficiency gains. The success has been a long time in the making with the idea for a new fleet management software first floated over two years ago. David Halliday, Loughborough depot’s General Manager, also pointed out the hard work and late nights that the Odyssey team has put in to ensure the project is a success. Oliver English, Continuous Improvement Co-ordinator, has been with company for nearly four years, said his biggest achievement to date is working on the new fleet management software project: “It would have to be the cleansing of our data, prepared for the conversion of data from CDK to Key2, to start in the new system with clean and correct data is imperative. Oliver is already heralding the improvements of the new system saying: “Without a doubt Key2 is going to enable us to become more efficient, effective and grow to allow us to hit our 2020 vision. He added that the motivation and enthusiasm from the wider Alltruck team helped make the project such a success. The system is still in the embedding stage, however the whole company is behind the project and it is already making processes more efficient and effective. Debbie, Natalie and André, have pooled their money together and donated £150 to Keep the Beat which supports children with heart defects. Oliver has decided to donate his £50 to Redgate Farm Animal Sanctuary a farm founded in Leicestershire in 1986 by the Redmile family. The sanctuary looks after all kinds of animals including cats, chicken and ducks whilst they wait to be re-homed, and plans to spend the money on food and upkeep. Natalia has donated her money to the Dogs Trust in Loughborough which is one of 20 re-homing centres that helps to support 15,000 dogs a year in the UK.